The Instant Pot is a magical kitchen wizard as far as I’m concerned. 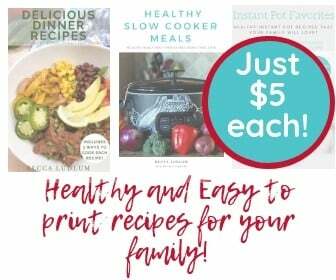 It’s great for making stress free meals, desserts, and more. These are some of my favorite Instant Pot accessories under $50. All of these Instant Pot accessories are useful in different ways. They can help you get even more use out of this already magical device! If you know someone who loves their Instant Pot these accessories would make an excellent gift. Every Instant Pot user is different but I think these Instant Pot accessories under $50 are pretty universal. Anyone who uses their Instant Pot on a semi-regular basis will be delighted by the addition of any of these Instant Pot accessories. This is a great choice if you like to make more than one thing in your IP at a time! 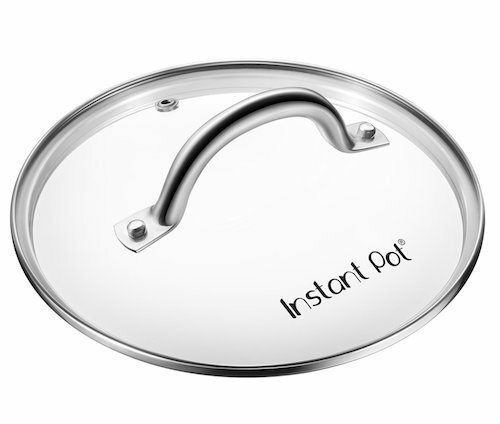 You can help your Instant Pot multitask like a champ with this set of stackable steamer insert pans, they even come with their own stainless steel sling! I love having an extra inner pot for my IP. It makes life easy when you are using your Instant Pot multiple times a day and even multiple times a week. If you have two big recipes to cook on the same day and you don’t want to wash the pot in-between…these are a lifesaver! It’s also great for when you make recipes and travel with them in their inner pot! Remember how I said you can make recipes ahead of time and travel with them? This lid is a lifesaver in those situations. It’s also good if you use your IP on the crockpot or saute settings! You can cover it up without using the big pressure sealing lid! You know I love making things like lasagna and cheesecake in the IP. 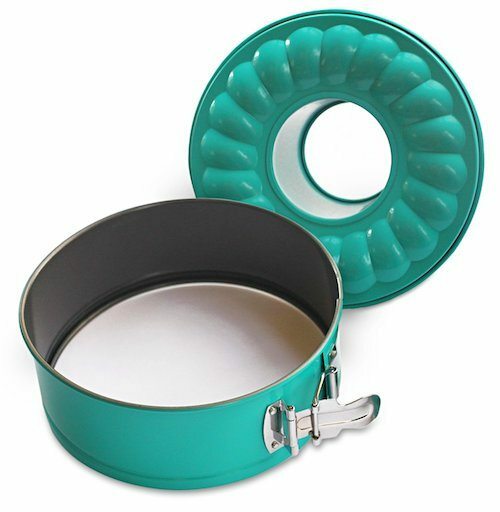 You can also use the bundt pan from this great set to make cakes, monkey bread and more! This awesome set is perfect for use in any 6 qt or 8 qt Instant Pot, it’s a must have on this list of Instant Pot accessories under $50. You might be thinking “hey, that’s not technically an accessory” and I guess you are right. BUT this is an excellent accompaniment to all Instant Pot cooking. You can have your main dish items going along with sides or dessert in the mini, it’s also great for traveling. If you are a camper, the IP Duo Mini is AMAZING. You can use it for all the regular recipes you love in scaled down portions. 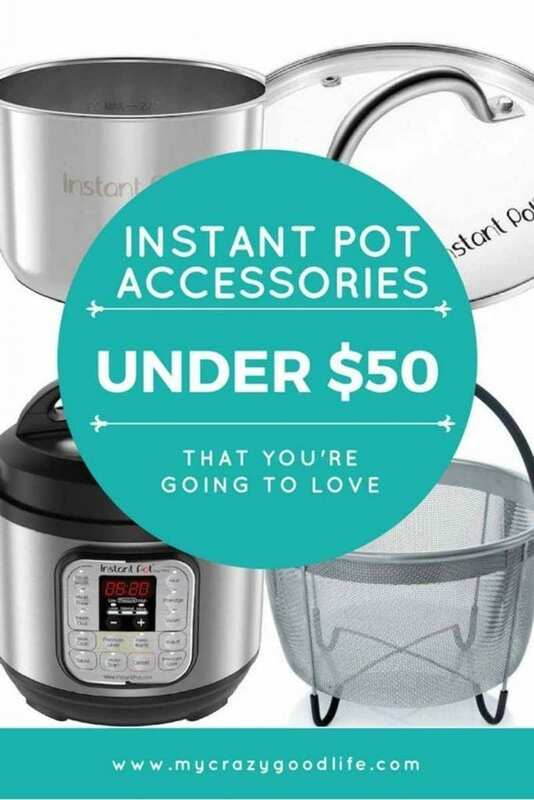 It’s perfect for us “potheads” who love all things Instant Pot. This awesome Instant Pot accessory comes in three sizes so you can match it to your pot. It’s awesome for doing veggies but it’s also really great for things like hard boiled eggs, potatoes, and more. You don’t have to worry about wiggling it out, it has an awesome handle on top. 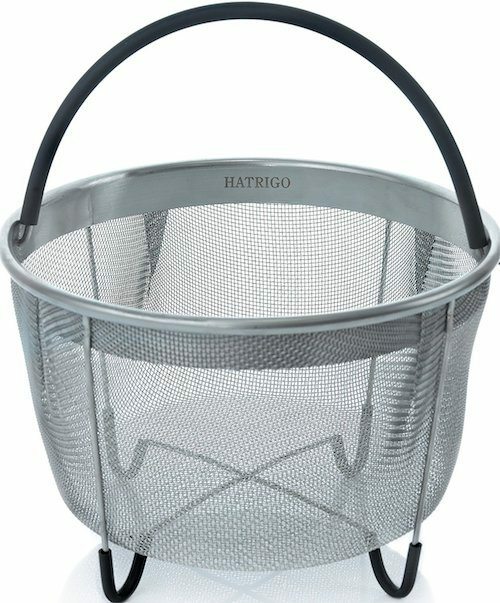 It’s also perfectly suited for steaming because it has built in legs that keep it elevated so you can include your liquids without boiling your veggies or potatoes! Are you new to the Instant Pot world? 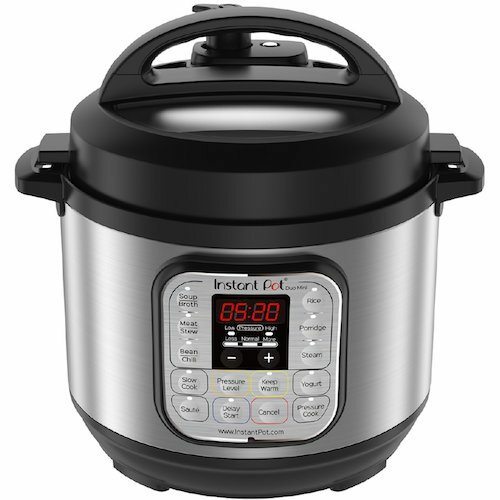 Are you looking for some more information before you purchase an Instant Pot? How about troubleshooting issues when cooking? I have lots of great info on cooking with the Instant Pot. Here are some more posts that will be helpful along the way! Did you know I’ve posted about this topic before?! I like a good deal as much as the next person so when I first started my Instant Pot journey I rounded up some of the best (and cheapest) accessories. You can check out all of these great Instant Pot accessories under $20 for some useful but bargain priced options. 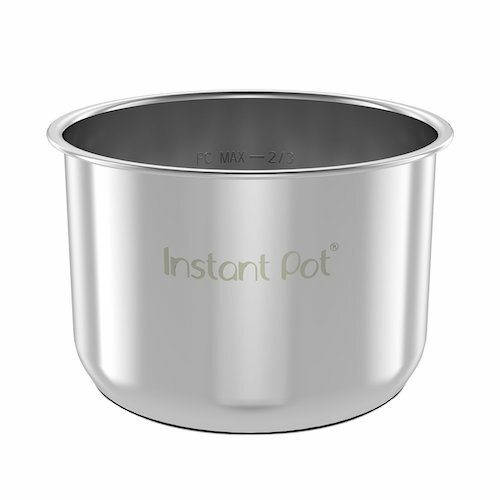 Where can i buy another instsnt pot top. Mine was to close to the stove and the front burnt a little and it also fell a couple of times being to close to the edge of the counter.